I stumbled upon Polyphia toward the end of 2016 with their second full-length release, Renaissance. I was exploring other progressive instrumental metal (instrumetal?) artists like Plini, Sithu Aye, and David Maxim Micic at the time, and Polyphia popped up in my artist suggestions with their single, “Euphoria”. I was immediately hooked by, well, The Hook™, and after giving the rest of Renaissance a listen, along with their debut album Muse, they seduced me with their superior balance of technical prowess and downright catchy songwriting. A few months later, their 2017 EP, The Most Hated, took a surprising turn and proved itself to be what I consider one of the most innovative releases I’ve ever heard. In hindsight, Renaissance, as well as the electrified remix of its song “Light” (appropriately renamed “LIT”) were strategically foreshadowing the stylistic shift Polyphia was about to demonstrate. The Most Hated, in my opinion, was not only genre-defying, but genre-shaping. By combining the best of progressive metal and hip-hop, Polyphia became something entirely new. All this to say I’ve been pretty damn excited about their latest release, New Levels New Devils. Let’s walk & talk through it, shall we? 1. Nasty – This track feels like it’s sneaking up on you. Tim Henson’s vocoder-style effect on the opening chords, a technique he credits to Lewis Grant, are engaging and come to a successful clarity as the song progresses. The build is both menacing and all-knowing, a perfect welcome to hell. “Nasty” is head-bobbing goodness that keeps you guessing while maintaining a sense of familiarity. Jason Richardson’s solo is decadent and buttery smooth. “Nasty” feels like a promising overture for the album. 2. O.D. – The second track on the album and the second single that Polyphia released from it, O.D. is memorable and indisputably catchy, and feels a little more in line with what Polyphia gave us on The Most Hated EP. There is no keeping yourself from moving to this song. Hints of Spanish influence permeate, and I will definitely be (making an attempt at) Salsa dancing when I see them play it live. 3. Death Note – This track caught my interest more than any other prior to the album’s release, purely because of the name. I had never heard of Ichika before Polyphia announced the track list for NLND. This track is more gentle than the previous two, but very calculated, with a slightly ominous air that invokes the image of Light Yagami alone in his room with the Death Note. It definitely feels like it’s telling a story. Ichika’s reverb-soaked acoustic work is gorgeous. 4. Bad – Ugh. Yes. This track is thiccer than a bowl of oatmeal. Structurally sound, hard-hitting, but never imposing. This might be my go-to “feeling myself” jam from now on. 5. Drown – This one got me. It is inventive, all-encompassing, and seamlessly balanced. Its cadence reminds me of Light/LIT, but with a mature calm about it. It’s jazzy and empowering, just complex enough to keep your attention but laid back. Gober’s work on bass clearly supports this track’s strength, while Aeschelman’s drum work has stepped back to make way for the three guitarists. Mateus Asato’s feature feels like a long, refreshing gulp of Thai iced tea. Honestly? The whole track is a baby-maker. 6. Saucy – This chorus is rivaled only by Tim’s hook from “Euphoria”. Saucy has a voice of its own. It makes me want to walk down a crowded street and dance with strangers. It’s spunky, lively, and youthful. 7. Yas – The third and final single released prior to the album. Easygoing, bright, and groovy. Never overpowering. CHON guitarists Mario Camarena and Erick Hansel’s feature is delivered beautifully, and it’s clear that these two bands have a great love for each other. “Yas” is the exact response I have to the song by its end. 8. So Strange – I was anticipating the hell out of this one, especially after I heard that the featured vocals that weren’t just samples or soundbites like what we heard on The Most Hated. Cuco’s vocals are calm, but intentional, and fit the aesthetic environment of the song perfectly. This song feels like a both a breakup and love song at the same time. I’ll admit that my first listen brought some tears to my eyes. It feels like a parting of ways, there is a sense of longing to it, akin to the way I felt after listening to Childish Gambino’s STN MTN / Kauai mixtape. Out with the old, in with the new, much like this album. Had NLND been released a few months earlier, this would have been my summer anthem. 9. Rich Kids – This track opens with more of the vocoder magic we heard earlier in the album. We’ve heard this specific bit in one of Henson’s recent videos. His process for creating this effect is fascinating, give it a look/listen when you get the chance. Anyway, “Rich Kids” is mellow, tender, and feels like a cool summer sunset. It reminds me of the lonely summer nights I spent in middle school, escaping the plight of adolescent angst by riding my bike through suburbs of southern Charlotte, NC, decorated with elegant homes my parents could never afford. Yvette Young of Covet provides her signature percussive style of guitar playing which features itself as what could easily be a song of its own. This collaboration between Polyphia and Young is insightful, vulnerable, and…almost spiritual in essence. 10. G.O.A.T. – The first single from the album is its last track, which, for me, reframes its entire meaning. G.O.A.T. is the envelope and wax seal of the album, putting everything together and presenting it to us for consumption. As a closing number, it is incredibly effective, leaving us with a more somber twist on the menacing nature of “Nasty”. In all, G.O.A.T. incorporates the best of the band’s recent innovations––from Tim Henson and Scott LePage’s clean and complex guitar shredding, to Clay Gober’s thumping yet elegant bass work, to Clay Aeschliman’s unique head-bobbing rhythms and trap-style jams on the hi-hat (seriously, how the hell does he do that?! )––serving not only as a loving goodbye to the listener, but also a heartfelt “f*ck you” to anyone who thinks Polyphia should be constrained by limits and expectations. New Levels New Devils explores uncharted territory and affirms Polyphia’s titanic, diverse spectrum of talent and innovative capabilities within, and beyond, their genre(s). So, those are my thoughts on the album. Take them as you will, I’m just one person. New Levels New Devils is available wherever you already get your music. On a personal note, I don’t think I have ever loved a band as much as I love Polyphia. This isn’t to say that other bands don’t deliver, or aren’t as satisfying. But I do think Polyphia’s work, as a whole, resonates with me more than others. Polyphia as a unit are very much a product of the times, but in the best way I could possibly fathom. Armed with undeniable technical skill, they aren’t just great musicians; they’re fully-realized, multi-faceted artists who are consumers and collaborators as much as they are creators. Their music now, more than ever, demonstrates elements of various genres, the most prominent of which being hip-hop, its distinct rhythms and beats characterizing their already unique guitar work in a way that, prior to the band’s success, had not been adequately achieved by any artists that I know of. I think this innovative quality has a lot to do with their own personal consumption of these genres and media. This union of hip-hop, a generally mainstream genre, and progressive metal, a particularly niche and lesser-known genre, has allowed for a creative space with endless possibilities, possibilities which Polyphia have elegantly shaped into beautiful, tangible artistic realities. No matter how many times I listen, no matter how much I wish I could get tired of this group, every note in Polyphia’s discography, especially on their most recent release, is loaded with excitement and energy, purely because it hasn’t been done this way before. I just can’t stay away. 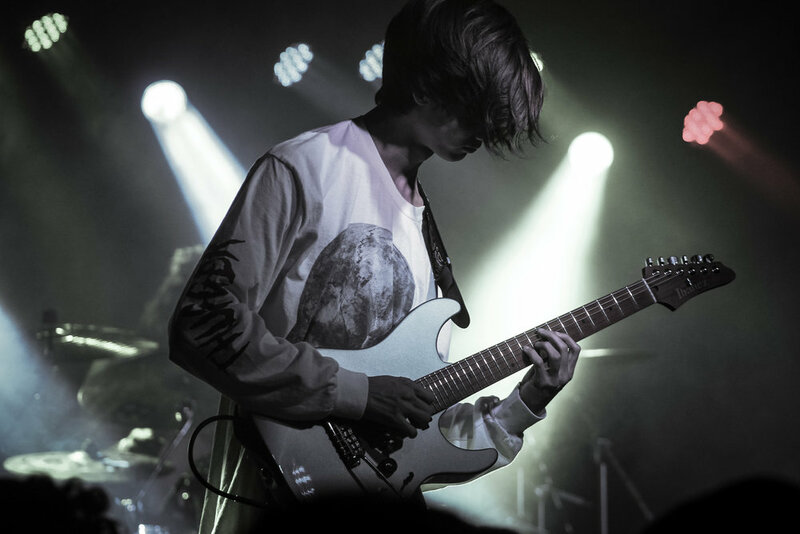 Furthermore, as a novice musician, I find Polyphia’s work to be constantly reshaping the way I think about and listen to music, and I know I’m not alone in that. Perhaps even more important than my love for their music, is my love and admiration for the members of Polyphia as people. All of them, in some way or another, express a love for themselves, each other, and their fans that is uniquely vulnerable, kind, hilarious, and wholesome. Through a layer of top-tier ironic humor is a community of brothers who clearly love what they do, and who they are, with every ounce of their being. They also use their platform to speak out on their beliefs, taking hard stances on political issues, encouraging fans to be “on the right side of history” and calling out other artists for sexist and transphobic remarks that would have otherwise gone unacknowledged. Time and time again, they prove themselves as allies to people who have often been excluded from the genres with which they associate. Furthermore, they have been openly and unapologetically subversive in their expressions of masculinity, which means a lot to me as a young man and a consumer of metal/heavy music, who doesn’t identify with traditional expectations of “masculine” identity, nor the way it is policed throughout various music scenes. I don’t know, I’m probably getting too heady here. It’s just that the content of an artist’s character, what they believe in, and what they’ll stand for is super important to me, and I’m really glad that the guys in Polyphia are people who I feel I can genuinely look up to. Ultimately, seeing the ways the members of Polyphia live out their lives, combined with their music, is incredibly inspiring to me. I spend a lot of my days feeling isolated, confused, defeated, and scared of a myriad of things for no identifiable reason. Sometimes it’s hard for me to make sense of most of the things happening around me, even the most mundane of everyday tasks. I’m prone to panic attacks, and when those happen, it feels like my mind glitches, and I completely shut down; I feel like I can’t see, or hear, or speak coherently, like there’s a bug in my latest software update. Then I play Polyphia through my headphones or my car speakers, and things start to clarify. The complex melodies, the engaging beats, every little shimmering detail, all remind me of what is real and true and good. Polyphia brings me back to the reality I know, yet transports me to an even better one. Polyphia reminds me that I’m not alone. Polyphia makes me feel understood. Anyway, I’m impressed and thankful that you made it this far! I know this was a lot for a first blog post, especially one that was just supposed to be an album review. I just stan these guys so hard, I couldn’t resist going on about them. I’m starting this blog to chronicle my thoughts and experiences, but also to get back in the habit of writing for leisure, since most of what I write is literary analysis for school. I have no idea what I’ll write about next, or when, but I promise it will be personal, and I hope it will be able to start some kind of conversation! If you ever want to chat about something I’ve expressed, feel free to drop me a line in the CONTACT section.